We are happy to announce that we are going to offer a group mobility class starting February 6, 2018 at 6pm.The class will continue to be on Tuesdays at 6 after that. This class will help you move better and feel better. 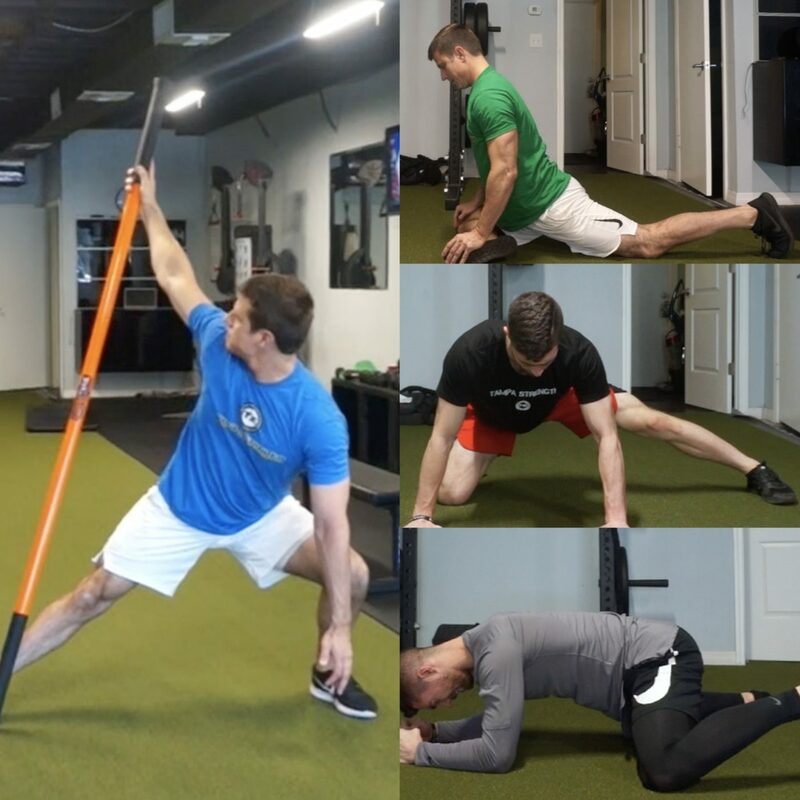 Mobility is a critical piece of any training program for a healthy active lifestyle. Mobility is the amount of active, usable motion that one possesses. The more mobile a person is, the more they are able to maximize their movement potential safely, efficiently, and effectively. Increasing mobility can increase your longevity by strengthening and bulletproofing your joints. With increased mobility comes increased body control and ownership of your movements. This can help with injury prevention. This type of training helps to increase your range of motion that you can control. With more control comes less injuries. Mobility is critical for athletic performance. Without strong and proper functioning joints the amount of power that you can generate is less than optimal. This affects jumping, throwing, running, and other explosive movements. Increased mobility can also help with increased strength and coordination. We will also use Stick Mobility, a system designed to help you move better that and take your performance to the next level. Using the Stick Mobility Sticks allows for stretching and strengthening at the same time. This system is also used by pro athletes across multiple sports: NBA, NFL, MLB, and PGA. Our class is going to help you move better, get stronger, feel better, and help you do what you do for longer, injury and pain free. Contact us via email john@tampastrength.com or shawn@tampastrength.com. Please check out on Instagram and Facebook for more info and content. Thanks!